Preheat oven to 350º. Line a 8"-x-8" baking dish with parchment paper and grease with cooking spray. Prepare brownie batter according to package instructions and pour half into prepared pan. Lightly press 18 Kit Kat Bars into brownie batter, and top with remaining batter. Bake until a toothpick inserted into the center of the brownies comes out clean, 20 to 25 minutes. Let cool completely in the pan. Make frosting: In a large bowl using an electric hand mixer, beat butter and cream cheese together until smooth. Add powdered sugar, cocoa powder, vanilla, and salt and beat until combined and smooth. Spread in an even layer over brownies. 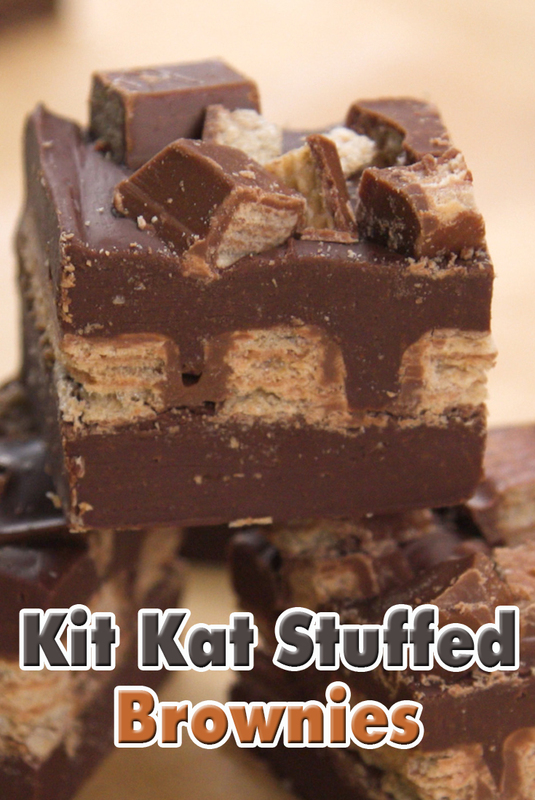 Chop remaining Kit Kat bars and sprinkle over brownies. Cut into squares and serve.